Mike “Typo” Bassett, the devoted Super Smash Bros. Melee player who continues to shatter distance ceilings in the title’s Home Run Contest mini-game, recently surpassed another decade-old record, this time with Pokémon mainstay Jigglypuff. And now, with a massive goal within reach, he’s well on his way to becoming the mode’s undisputed champion. Typo knew he was going to take the world record days before he managed to pull it off, contacting Compete on November 25 to give a heads-up about his latest project. On the afternoon of November 27, he was celebrating the latest in a long line of achievements, exceeding the previous Jigglypuff record by a little over 40 (digital) feet and making 5765.9 (digital) feet the new maximum distance. 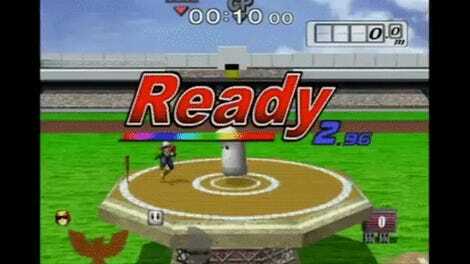 The Home Run Contest mini-game gives players just 10 seconds to whale on a sandbag, building damage until launching it with a final, massive attack, like Jigglypuff’s Rest in the above clip. 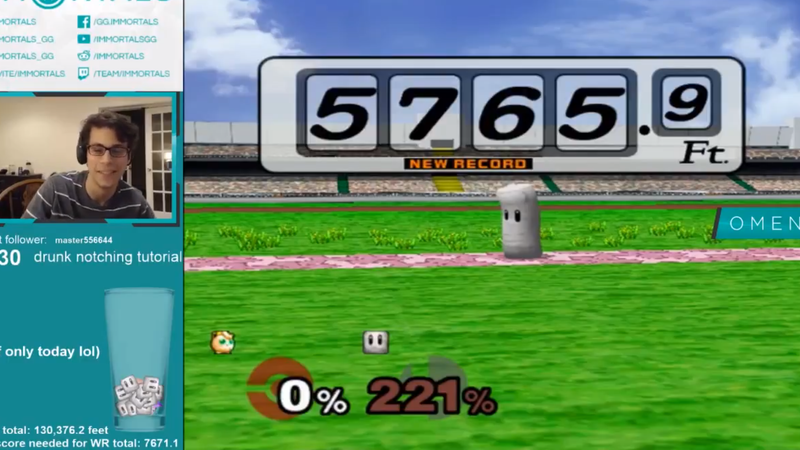 The character’s previous record-holder, a since-disappeared Home Run Contest legend who went by the name of Sin2324, launched the poor punching bag 5725.6 (digital) feet back in 2006. Just like he did with Young Link in July, Typo had finally surpassed a distance set over a decade ago. The difference comes down to being able to tack a few more percentages of damage onto an existing strategy, or “maxing” as Home Run Contest players call it. Sin2324 was apparently the king of increasing damage without technically changing a core strategy before he vanished off the face of the earth, but Typo admits he struggles in that area. But even with all the work he put into securing the Jigglypuff record, Typo sees it as a mere “stepping stone” on the road to a larger objective: surpassing Sin2324 as the holder of the overall distance record. Typo currently holds the most individual Home Run Contest records, but the total of Sin2324’s best distances with each character (a whopping 131,378.1 feet) outweigh what Typo has been able to accomplish so far. If you were to compare Typo’s goal to, say, an alley-oop, the distance he tallied with Jigglypuff was merely the toss, whereas the ever-elusive Peach record constitutes the true slam dunk. Sitting just 1,000 feet below Sin2324’s total, Typo is close to earning this overall achievement, and he’s pinned his hopes on doing so with Peach. Depending on how his attempts shake out, he could miss out on taking the individual record, but still manage to improve his own distance enough to overtake Sin2324. It all revolves around one excruciatingly unreliable attack. Despite starting his record-breaking streak in 2015, it wasn’t until about three weeks ago that Typo realized he could challenge Sin2324’s long-standing distance total. But the Peach record—one of two not held by either Typo or Sin2324—is a completely different beast than many Typo has researched, mainly because of its reliance on her randomized down+B special, Vegetable. As the name suggests, Vegetable allows Peach to pull various strengths of turnips from the ground for use against her opponents. However, it can also produce other items like a Mr. Saturn or a Bob-omb, the latter of which is necessary to achieve greater distances in Home Run Contest due to the increased damage it deals. The only problem is the Bob-omb only has a .26% chance to appear, or once out of every 384 pulls. Mr. Saturn is almost as rare, but as you can see in the clip below, is completely useless. Much like competitive play, achieving record distances in Home Run Contest can often amount to long sessions of practice, honing one’s execution and decision-making in an effort to push the sandbag just a little further. Unlike other fighting games, the unique physics of Super Smash Bros. Melee ensure combos remain loose and somewhat chaotic, resulting in a more freestyle approach to dealing damage. The variables that make or break plays in tournament also affect this demanding mini-game, but Typo is well on his way to dethroning one of the greats.